>Many people ask what was Edison’s value to the world. This is a popular question, especially among teachers and students. Think first about what his four major inventions have done for our standards of living worldwide—recorded sound, motion pictures, electric light bulb and utility system, and R&D labs. Just these alone substantially changed our world. In 1996, Life magazine proclaimed him the “Man of the Millennium”. Let that sink in. That is the man of the last 1,000 years. Today is 2018. One-thousand years ago was 1018. What was the world and society like back then? Thomas Edison’s legendary West Orange Labs where on 25 acres of land, 10,000 employees worked with the great inventor to change the world! Most of the buildings on the site were built using his special concrete. Thomas Edison died in 1931. His great inventions together represent 10% of the world’s gross national product; and since the world economy is about $60 trillion annually, Edison’s achievements today represent approximately $6 trillion worldwide. To further put this in perspective, the U.S. gross national product is about $20 trillion annually. Consider what other economists have claimed about this man…..his achievements are probably responsible for one-fourth of all the current jobs on the planet. Since there now are about three billion jobs on planet Earth, that would mean 775,000,000 jobs are directly attributable to the genius of Edison and his system of turning raw ideas into marketable products. And there is the key….his system. 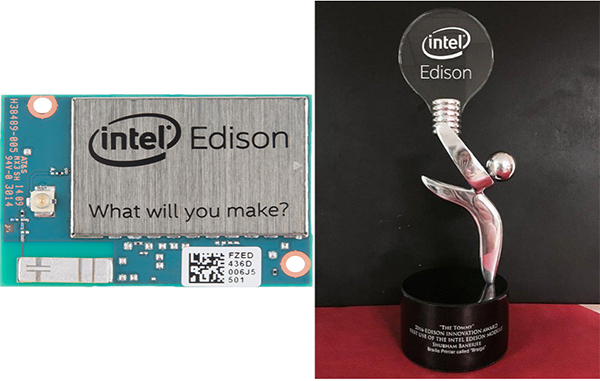 Edison is the ultimate process guy, project manager extraordinaire, who reduces innovation to a series of simple steps, actually codifying the innovation process of the late 1800s into a technology-driven, team-based method of making new products. It does not matter which technology you chose to innovate upon, the steps are the same….a process for all time, as fresh today as at the inception of his invention factory (his early term for R&D labs). 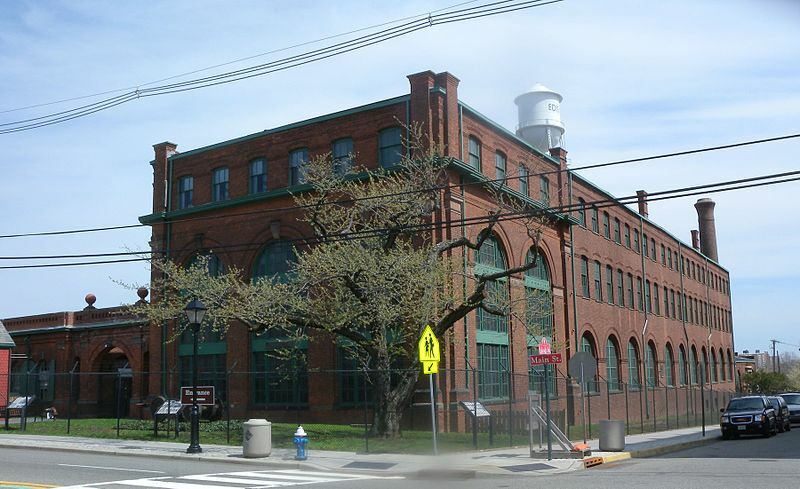 Arguably the greatest building in the Thomas Edison pantheon, and to the world economy….the Edison invention factory….the first commercial R&D lab. This paradigm leads to commercial R&D Labs-which every major company in the world duplicates from Edison’s legendary West Orange Labs before he dies in 1931. It is copied at the federal level during World War II to counter the German U-boat threat; leads to the first national lab (U.S. Naval Research Lab), a model for the Manhattan Project during WWI and all the national labs that follow. Last year, the United States spent over $500 billion on research lab activity at all levels – private companies, academia, and federal labs. In closing, consider how nationally the schools are revamping the middle school curricula to include studying what Thomas Edison did at West Orange. Students are investigating project design challenges using head and hands, and team-based activities to solve real-world problems. We call this curricula STEM – Science, Technology, Engineering and Math; and it is sweeping the nation and world. Teachers know the value of STEM and they are coming in record numbers with their students to the Thomas Edison National Historical Park [TENHP] in West Orange to learn about it. Inside the invention factory is what can be considered the “first maker-lab”, Edison’s heavy machine shop, where prototypes were made and later tested. Today our children through their STEM programs have maker labs to make their 3D prototypes. 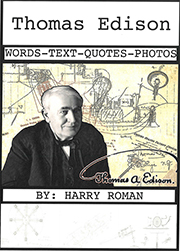 Thomas Edison is as relevant to today as he was when he started changing the world. His principles for change are dynamic, and continue to inspire today and future generations of inventors and entrepreneurs. At TENHP we now reach out to schools around the world using advanced telecommunication techniques allowing students and teacher around the world to enjoy a guided tour of the invention factory from the comfort of their classrooms. 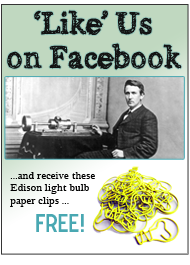 Thomas Edison would love this! 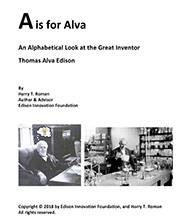 This entry was posted in All About Tom on July 3, 2018 by Edison Innovation Foundation.